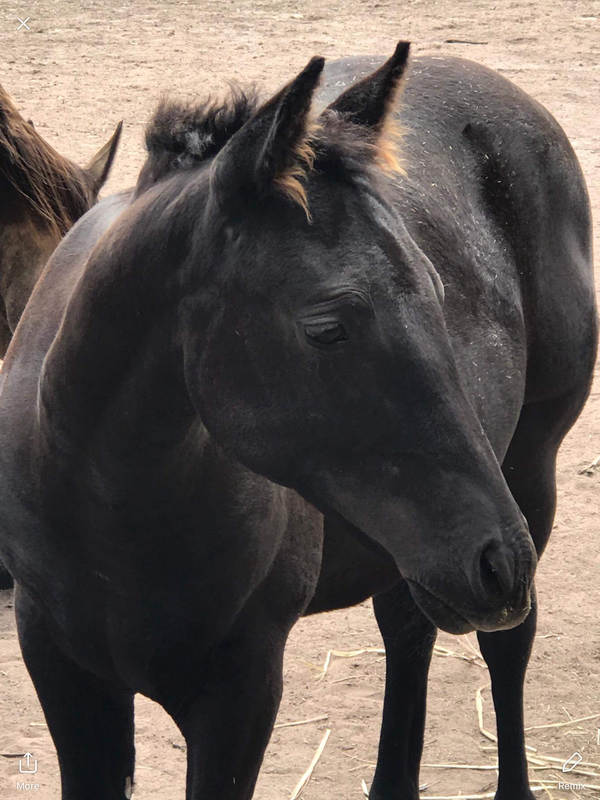 Onyx is a gorgeous black curly coated filly. She is 1/4 curly, 1/4 paint and half QH. She has fantastic breeding and an amazing temperament. She was born on the 1st October, 2017. She is easy to float, worm and is great with the carrier. Goes over obstacles. Is 5 panel negative. Onyx is an outside serve for sale and is located in Sunbury, Victoria.